$69. Vintage antique neoclassical round plaster wall plaque. 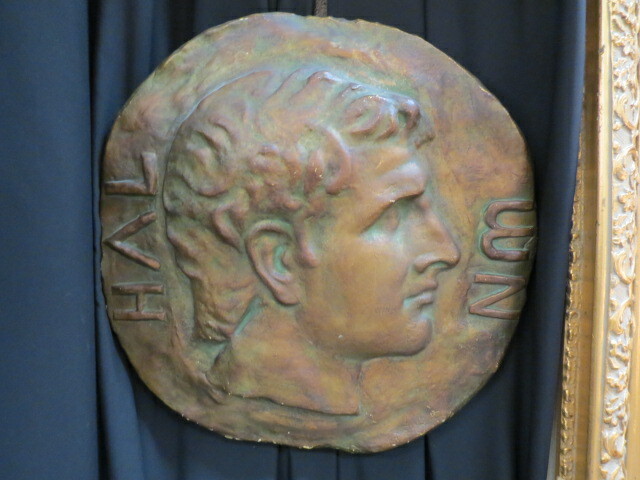 Roman style head with lettering on the sides. Irregular round size. Looks like an old Roman coin. Colored in a dark bronze. Perfect for your gallery wall. Very good condition. 15in wide, 3in deep, 16in tall.